Borderlands 2 Torgue DLC, the much talked about advance graphic game is now available for all platforms including the gaming consoles like Xbox 360, PS3 and even for PCs. DLC is available for $9.99 which is like Rs. 550 approx for user, however if you purchase the Borderlands 2 season pass then you will get the DLC for free. The current version of DLC is the second launch for after Captain Scarlett and Her Pirate’s Booty which was launched last month. Borderlands 2 Torgue DLC this time has got special quest for Moxxi, Tina and many other rewards. The game also composed of new bosses and enemies and many more characters to raise the havoc. 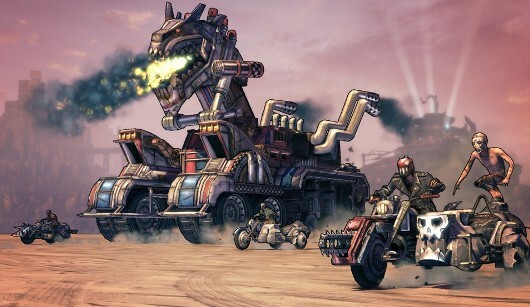 Borderlands 2 Torgue DLC is a dynamic blend of new battles, new adventure, more gears, explosion and all new craziness. Borderlands 2 for the PS3 and Xbox is costing Rs. 2,499 and for PC version you will have to pay Rs. 999.